Sphero has released a replica of the BB-8 droid from the Star Wars series, playing with which is as interesting as playing with a small puppy. 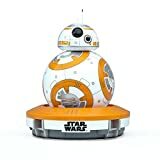 Disney, which owns the rights to the BB-8 image, has set the task of “creating a consumer model of a robot that will become an indispensable assistant in the near future, as well as endow it with the personality traits of the droid from Awakening Force.” In other words, BB-8 was supposed to be the first companion robot that not only performs user commands but can act autonomously. In meeting this requirement, Sphero faced a series of problems. The main one is that the capabilities of modern robotics are still not enough to create a robot that would be completely autonomous, that is, it could independently assess the environment and make decisions. However, previous models of the company – Sphero and Ollie – performed certain scenarios that anticipated the reaction of users. From the outside, it seemed that robots were acting independently. The main difference between the BB8 and the first models is that it is a robot with a personality. BB8 turns looks in different directions, react to stimuli with simple gestures, its movements are smooth and seem meaningful. At the same time, he does not try to desperately draw attention to himself, like Kirby: he makes various sounds to show that he is listening attentively. The droid body is made of durable plastic, which easily withstands a collision with a wall without any special consequences for the robot. A small BB8 head can fly off if it falls from a great height. The developers claim that since the device went on sale, users have not yet returned the robot due to a breakdown. The robot responds to various stimuli and is able to express its emotions, it has its own character. C BB8 can interact with a special application. When expressing consent, the robot leans slightly forward when it is unable to execute the command, then shakes its head from left to right. If the droid encounters an obstacle, it emits a short beep, which can be interpreted as an emotion of surprise. When BB8’s head falls off, its body starts to glow red. BB8 app can download as the owner of Android-devices, and those who prefer gadgets on the iOS platform. The program allows you to interact with the robot by pressing the buttons that activate the senses of the droid. For example, if the user switches the robot to “Listen” mode and shouts “It’s a trap!”, BB8 will begin to leave at maximum speed (7 km / h). Also, the droid can explore the room and make random sounds if it is switched to “Search” mode. In addition, BB-8 can project holograms from Star Wars, users can record their own videos and upload them to the robot. Unfortunately, the battery capacity of the BB8 leaves much to be desired: after charging it can move only offline for 60 minutes. The developers have promised to correct this shortcoming in the near future. In general, Star Wars fans will find it difficult to resist buying BB8: the robot has its own character, and interesting pieces, like the possibility of projecting holograms, will be enjoyed by geeks. The developers promise to add the ability to program various scenarios of the robot. At first glance, it may seem that the device of the robot is quite complicated, especially with regard to the moment of fixing the head and keeping it in one place relative to the surface. But in fact, everything is much simpler – a gyroscope, an accelerometer, a magnet and a bit of Force. A platform on wheels is installed inside the sphere, which is the basis for all key components of our astromechanic’s vital functions. The head itself does not fall off the sphere due to the magnets and is also equipped with wheels for turns, there are no additional sensors or mechanisms in it, everything necessary is concentrated in the sphere. The functionality of the droid at the moment is limited to three main modes: normal driving, recording, and demonstration of holographic images, as well as the study of the terrain. We will tell you in detail about each of the possibilities and begin with a basic mode, in which the entire control of the BB-8 is concentrated in the hands of the user. To control BB-8, you need an iOS or Android smartphone with Bluetooth Low Energy support. The robot comes with a charged battery and when you take it out of the box you will have the opportunity to play without too much waiting. And the battery life here is quite decent – 1 hour, almost as much and takes charge of a toy. For the first start, you will need the Sphero BB-8 proprietary application, the connection process takes a few seconds and after a brief briefing on the principles of control, the robot will be ready. The developers have tried to make the robot control process as simple and intuitive as possible, but you need to be prepared for the fact that it is unlikely that you will be able to master the control quickly. In the basic control mode, two virtual joysticks will be available to you, one indicating the direction of movement, and the other directly behind the movement itself. The only parameter that is available for adjustment is speed, although the user does not have a flexible setting for this parameter, the maximum speed can only be adjusted during a stop. Be prepared that the first hour or two you will regularly stray from the course, bump into the walls and other obstacles. But you should not be afraid, the plastic from which the sphere is made is quite strong and easily withstands collisions with obstacles even at maximum speed. In Drive mode, you can use voice control, for example, it will be possible to hail a droid. Ready-to-use settings are also available: imitation of agreement (the robot nods his head), denial, acceleration from the spot and much more. In principle, this mode alone can enthrall for many hours, because in addition the robot is programmed to some kind of imitation of independent life, for example, in the rest mode, it will still make sounds and look around, as well as blink with built-in LEDs. Inside the BB-8, multicolor diodes are installed, signaling colors about different states of the robot, for example when encountering an obstacle, the robot will highlight itself from the inside in red, while in the docking station for charging, the BB-8 resembles a table lamp. The next menu item in the application is a demonstration of holographic images. Unfortunately, BB-8 by itself is devoid of any means of visualization, except for the LEDs, and all the holograms will be shown exclusively on your smartphone. The process is as follows: using a camera phone, a video is recorded, then you choose where the hologram will be projected, and then you see the projection of the recorded video from the BB-8 eye on the smartphone screen. There is no practical use for this, except for a few demonstrations. Much more interest is the mode of study areas. In it, the robot is left alone with unfamiliar space, and all you can do is to watch the robot and its current performance. In patrol mode, the BB-8 gets to know each other in the surrounding area by touching obstacles. Having chosen this mode, BB-8 begins to independently choose directions and speed, having encountered an obstacle the robot chooses another direction and does not return to the previous route. Depending on the type of terrain and obstacles, the actions of the droid may differ. For example, exploring a room with a chair on wheels, buried in the crosspiece, BB-8 did not go back, and after several “aimings” it rolled under the crosspiece of the chair! A similar situation was with different wires on the floor, the robot did not give up after the first failures and tried in every way to overcome the obstacle, and he did it with dignity, as it should be for intelligent aeromechanics. At the same time, it is worth noting that, pushing against the blank walls, BB-8 did not try to overcome them again. During the patrol, the real-time status of the robot is displayed in real time on the application screen – tilting, accelerating, and a map of the terrain based on movements is drawn. There is also a text logging – a kind of telemetry, with which developers plan to find application in the future for wider control, as well as, according to preliminary information, for the possibility of programming. Sphero has turned out a great toy that can captivate both young and old. Given the potential and promises of developers to expand the functionality, we have an almost endless source of positive emotions, accessible even to people far from the Star Wars universe. 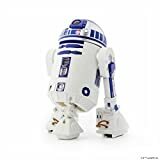 At the moment, BB-8 is just a fun toy, but if the programming capabilities of the robot are implemented in the software, then according to its developmental potential, the droid will be able to compete with the Lego sets.